If you are familiar with the Spyderco UK Penknives (featured here and here), you might recognize some similar DNA in the SPY-DK. This one was built to conform to the even stricter Danish knife restrictions, so it has a tiny little hole that prevents any sort of one hand opening. 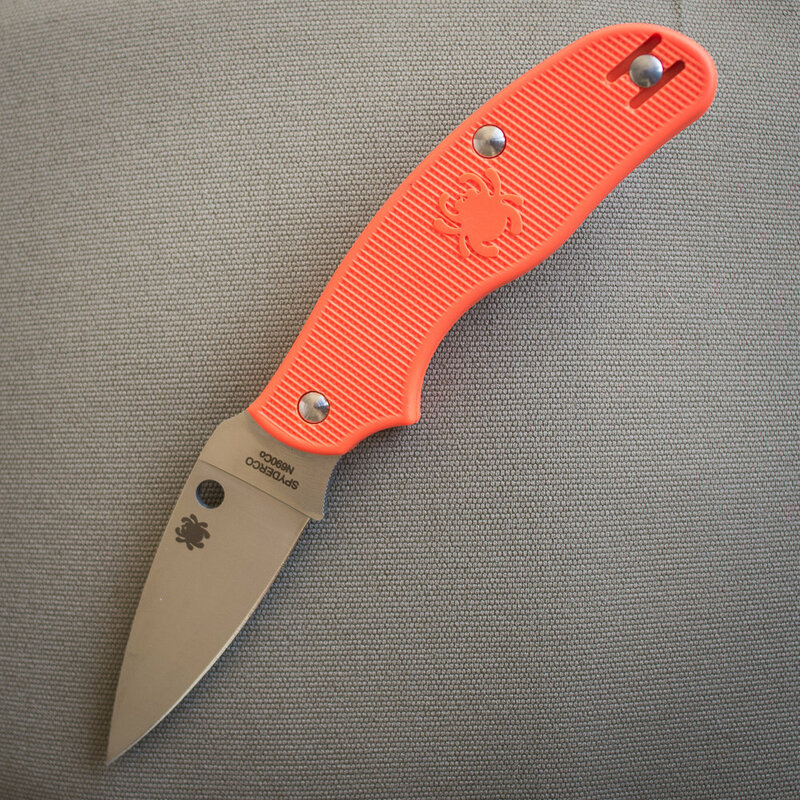 The blade is made from N690Co and the handles are Spyderco's familiar FRN material. Again, I find the back spring weaker than I would would prefer, but being able to grip the knife up on the blade helps prevent accidental closures and injuries. 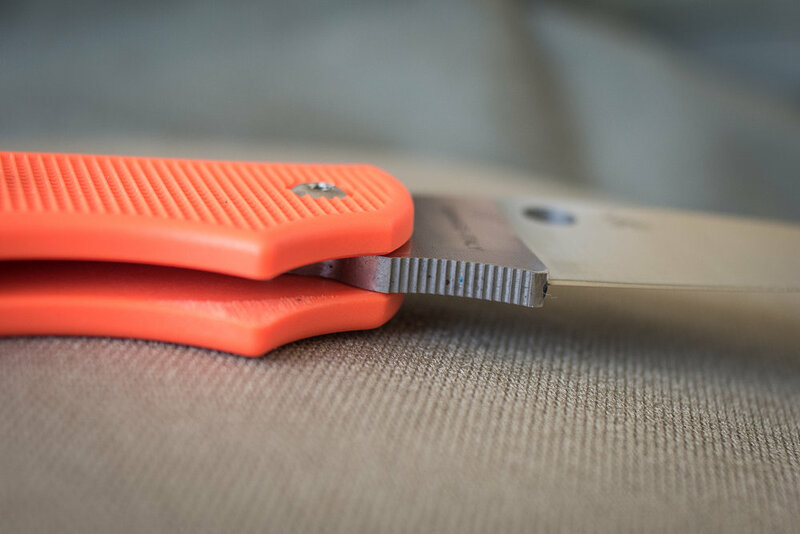 This is a light weight and slim little knife, great for all sorts of urban cutting tasks.